Here is a useful online learning theory and practice resource that has been updated and published as a second edition. 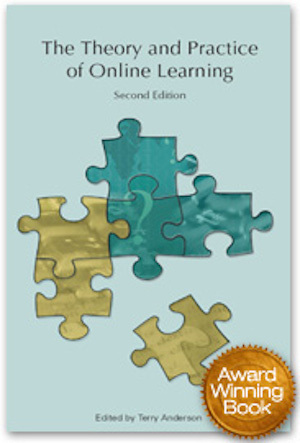 Athabasca University Press is pleased to announce the publication of the 2nd edition of the Theory and Practice of Online Learning edited by Terry Anderson. Every chapter in the widely distributed first edition has been updated, and four new chapters on current issues such as connectivism and social software innovations have been added. PDFs of this 2nd edition and its individual chapters continue to be freely available online under a Creative Commons license.